Society of Animal Artists: ART OF THE DIVE PORTRAITS OF THE DEEP by David J. Wagner, Ph.D.
ART OF THE DIVE PORTRAITS OF THE DEEP by David J. Wagner, Ph.D.
BOOK by David J. Wagner, Ph.D.
ART OF THE DIVE / PORTRAITS OF THE DEEP is a book that catalogues a 2011-2012 museum exhibition that featured work by leading artists who portray underwater life and habitat. 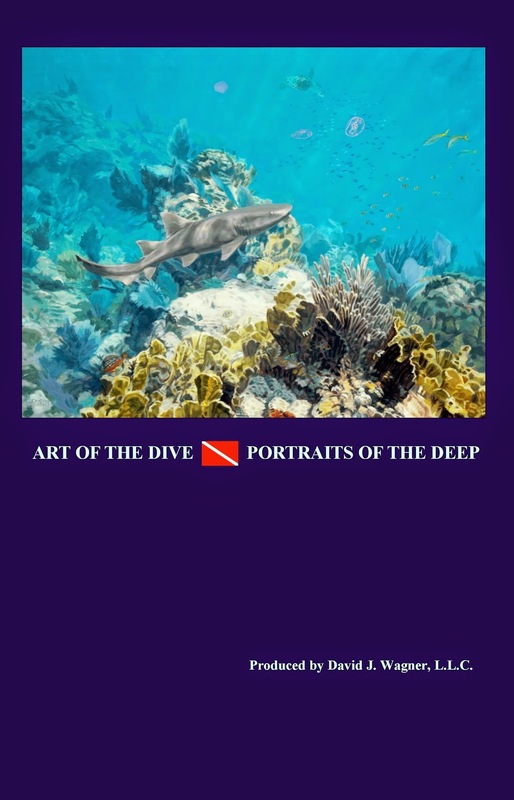 ART OF THE DIVE / PORTRAITS OF THE DEEP includes color photographs of paintings, sculptures, murals, and monuments by the world’s leading dive painters and sculptors, and biographies of each artist. These begin with Stanley Meltzoff (1917-2006), who, as author/curator Dr. David J. Wagner explains, was given his art-of-the-dive start with a commission from National Geographic Society in the 1960’s and who is now generally recognized as the progenitor of the genre. Others include Charles Allmond, Al Barnes, Renée Bemis, Eric Berg, M.J. Brush, Ian Coleman, Jean-Louis Courteau, Guy Harvey, John Kobald, Diane Peebles, Randy Puckett, Don Ray, George Schelling, Randall Scott, Rachelle Siegrist, Wes Siegrist, Mark Susinno, Fred Thomas, Kent Ullberg, Ronnie Williford, Wyland. Though replete, detailed paintings created from the perspective of the dive have existed now for almost fifty years, a comprehensive museum exhibition of the genre did not exist before been produced before David J. Wagner, L.L.C. produced ART OF THE DIVE / PORTRAITS OF THE DEEP. 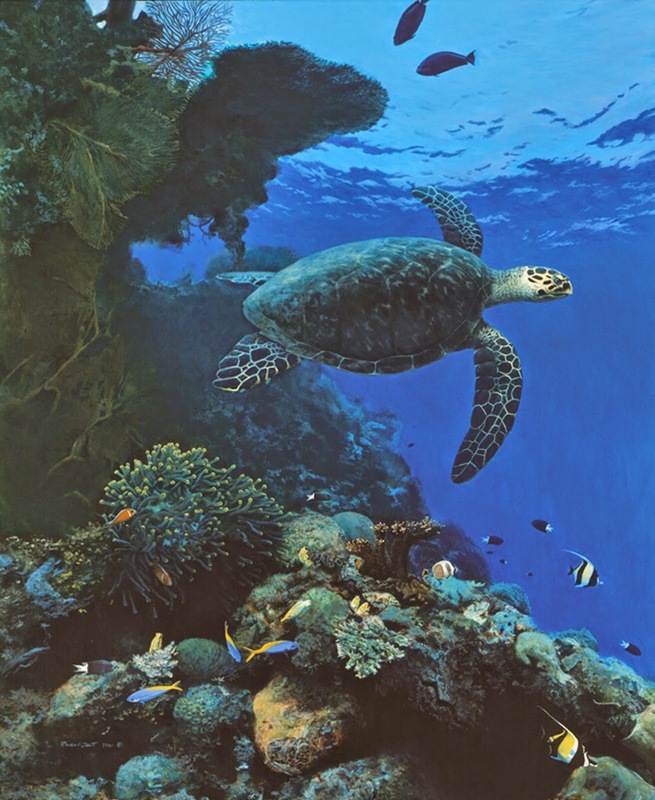 The exhibit was intended to document and acknowledge achievements of painters who have dedicated themselves to portraying aquatic themes from the perspective of diving. 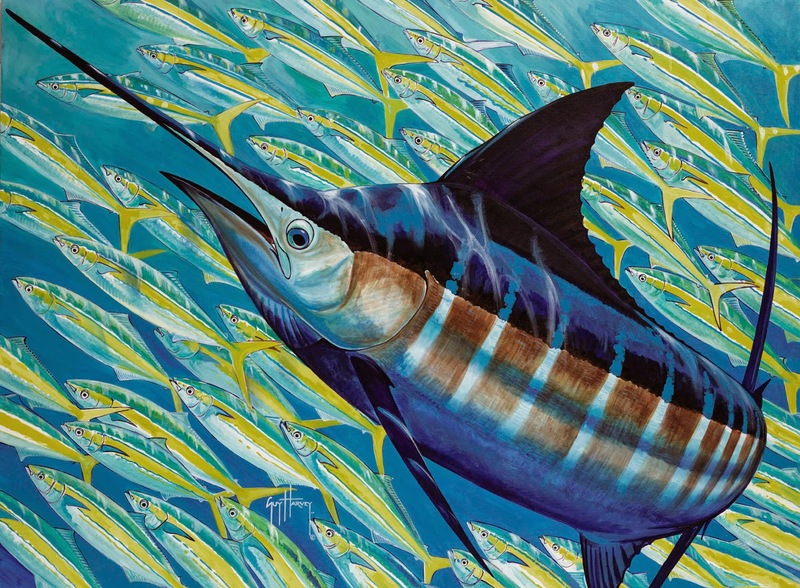 Stanley Meltzoff established the genre among painters in the 1960’s, beginning with a painting of striped bass which Sports Illustrated published in 1966. Meltzoff was subsequently emulated by a second generation of painters, many of whom are represented in this exhibition. 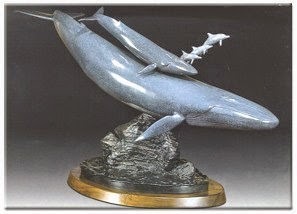 Sculptors on the other hand, have celebrated the richness and beauty of marine life, for hundreds of years before that. But over the past fifty years, certain artists have pushed the expression of marine themes in sculpture in new and interesting ways. Kent Ullberg, for example, not only pushed media beyond bronze to include stainless steel, but also pushed the scale and the aesthetic of the genre from one of realism to post-modernism, all of which were informed by collaborations with leading architects and landscape designers, and first-hand experience as a diver dating back to 1965 when he enlisted as a navy seal in the Swedish armed forces. ART OF THE DIVE strives to recognize and honor artists who have perennially produced work of the highest quality. In addition to quality, another criteria that guided the composition of this exhibition has been diversity . . . diversity in terms of subject matter, media, style, geography, etc. Insomuch as the world's water is a barometer for the health of the inhabitants of our oceans, lakes, and rivers, subjects found in ART OF THE DIVE, and their richness and beauty, function as a powerful foil against destruction symbolized recently by the 2010 Deepwater Horizon oil-rig explosion in the Gulf of Mexico. Of course, that sensational spill is but the tip of the ice berg when it comes to dangers confronting underwater life (e.g., bycatch from commercial fishing, coral reef destruction, wastewater discharge, etc.etc.etc.). Because ART OF THE DIVE celebrates beauty and diversity, it shouts out the need for marine conservation and stewardship in positive and powerful ways. Tour Office, David J. Wagner, L.L.C.